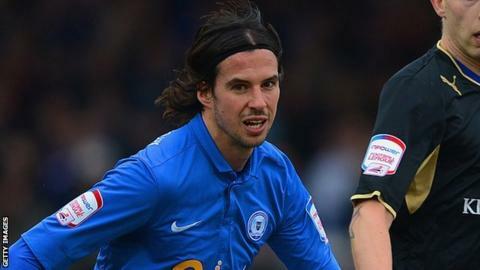 Peterborough United boss Darren Ferguson has praised the match-winning influence of George Boyd. The midfielder, whose January move to Nottingham Forest fell through after a medical, made three and scored one goal in Tuesday's 5-1 win at Millwall. "George hadn't played wide for a long time, but we know he can do it," Ferguson told BBC Radio Cambridgeshire. "The plan was to keep him wide and get him one on one. He murdered the full-back. I thought he was outstanding." Boyd, 27, was poised to join Forest last month, but the deal fell through when the City Ground club said they had health concerns over the former Stevenage player's eyesight. But his vision seemed unaffected as he helped Posh tear apart 10-man Millwall, while Ferguson, wary that Boyd's contract expires in the summer, was happy to jokingly play down the influence of his playmaker. "He was rubbish," he said. "Just in case anybody wants to take him." Ferguson was buoyed by the result, which lifted Posh off the foot of the Championship and to within four points of safety. "If we can play like that and defend as well as that, I feel we'll be OK," said the Scot. "I'm fully prepared for it to go to the last game - I've told the players that. "We'll meet it head on. We enjoy the challenge, we always do at this point in the season. "We won't fail for commitment and mental approach."